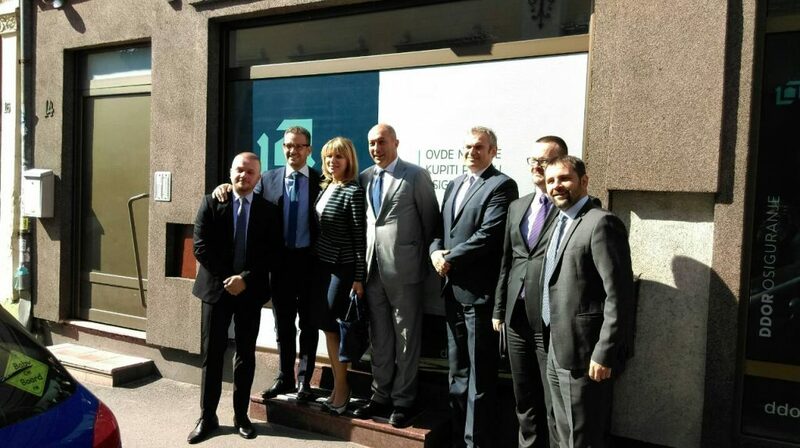 In its seventh decade of existence, DDOR insurance has opened a new point of sale within its business network located at 14 Bežanijska st in Zemun. Our goal is to create a network of smaller points of sale in order to be closer to clients and to become their new “Good Neighbor”. We want our clients to receive the best possible service provided by the most competent of our staff. The rate at which we open new points of sale is not of the utmost importance to us, rather we try to follow the needs of the market. We are very proud of our network of 100 internal points of sale and over 700 external points of sale across Serbia. Through personal and directs contacts with our clients, as well as through a modern online communication, we are able to understand the needs of our clients that are used to set the general strategy for our company. Our business processes have been certified according to the highest standards. We would like to remind you that we are the first insurance company in Serbia to receive “Protected Customer” certificate by the State Consumer Association. We grow, develop, modernize our processes, follow new developments in the insurance industry, with a great support from our shareholder, an Italian company UNIPOL GRUPPO, a leader in European insurance industry, that looks after more than 15 million clients.